He found his love for house music at the local record shop and got into the DJ world by chance when he was discovered while performing spontaneously at a local bar in 2003. Sam soon got the opportunity to show his skills at big festivals and party’s, where he delivered spectacular shows. It wasn‘t long before Sam O Neall became a household name people were talking about. He seems to have the knack of knowing exactly what people want to hear and his relentless enthusiasm is what makes him stand out. It is obvious that this DJ lives and breathes music. With gigs in the Netherlands, Norway, Ukraine (Kazantip Republic), Germany, Belgium, Spain, Morocco, Denmark (Roskilde) etc he’s quite alright. 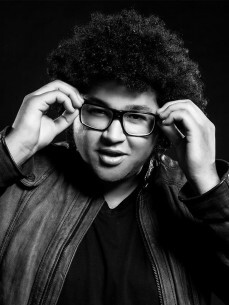 His production work is known for its big sound and massive breakdowns. It has been noticed in the passed by DJ’s such as Afrojack, Tiesto and Hardwell. Just to name a few. Remixing Laidback Luke, Arno Cost & Norman Doray was a dream coming true for Sam and he hopes to do a lot more of these fun projects. Recently Sam was mentioned on the infamous DMCWorld’s Buzzchart – Ibiza Edition with his track “Sam O Neall & C6 – Face like thunder”. To be released later this summer on one of EDM’s biggest labels.